our Film Company, guys! Stay tuned! “Periods of unemployment can lead to a loss of confidence in our abilities as an actor – the belief that we can do it and that we are worthy of a place, gradually shrink away. This can create the cruel situation of not being in the right frame of mind to take opportunities when they do eventually come along. A downward spiral ensues as well as an exit from acting altogether in some cases. I like James Devereaux’s texts and insights about the craft of an actor. If you like it too, show him some love and subscribe to his page HERE. Larry Rippenkroeger has performed stunts in a huge range of movies, from Fast & Furious and Iron Man 2 to Titanic and Little Miss Sunshine. After a lucky break doing stunts for Kevin Costner’s Waterworld he then went on to perform as Bruce Willis’ stunt double in Die Hard 4.0. Here he tells IdeasMag about breaking into a sweat, training to be Bruce and why the secret to getting into film is having a specialism. This is our first re-blogging, from the super cool NoFilmSchool.com Website . I thought it was something really relevant for independent filmmakers and you can see the full story and its links HERE. You can also help the project HERE. Pilot of a series, showcasing Rio de Janeiro with real stuff, not just the usual tourist attractions. The show is in English, as it focuses on giving foreigners an “insider’s look” on what Rio de Janeiro really is. The Academy of Motion Picture Arts and Sciences has revealed artist Olly Moss’ official poster design for the upcoming 85th annual Academy Awards. Check it out below! 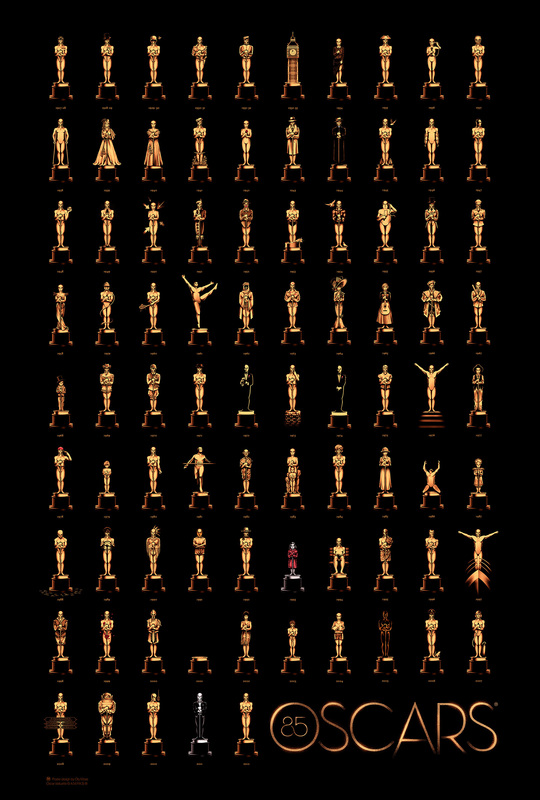 Designed in collaboration with Gallery1988, the poster features 85 different Oscar statuettes inspired by the Best Picture winners from 1927 to 2012. A couple more stills from CLOSURE. Are you able to recognize the place? Would you like to know some facts about Human Trafficking? Check out this UNITED NATIONS WEBSITE to LEARN MORE.